Kelley Robbins, with the Juvenile Diabetes Research Foundation, Kory Aycock, mother and volunteer, and Luke Blanton, student at WGS, kickoff the JDRF fundraiser at Woodbury Grammar School. Most people cannot walk a mile in the shoes of a child with juvenile diabetes, but these kids are going the distance to help find a cure for diabetes by participating in the Juvenile Diabetes Research Foundation’s (JDRF) new Kids Walk program. When schools participate in this program, a JDRF staff person comes to their PE classes to tell students about diabetes and how it affects children. They also discuss the importance of a healthy lifestyle which is key to preventing type 2 diabetes. Students have about two weeks to raise money, then the children celebrate their success with a walk around the school track. The JDRF Kids Walk Program is a lot of fun for the students and also benefits the school. Students who raise $10 or more earn fun incentive prizes. Schools raising a total of $1,000 or more will receive a banner to proudly display and PE classes receive 10% of the total raised for equipment, supplies or field trips. “We look forward to working with JDRF and taking steps to raise funds and awareness to help find a cure for this disease,” says Barbara Parker, Director of Schools for Cannon County. 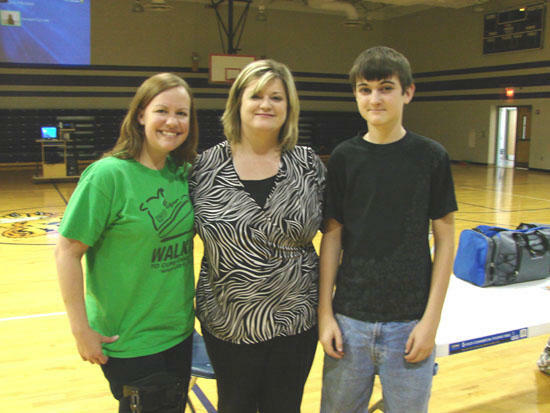 All six Cannon County K-8 schools will be participating in the JDRF Walk. They began collecting donations the weeks of April 30th and May 7th and raise funds through the Walk on May 19. If you would like to support one of the schools in their fight to cure diabetes, please visit www.jdrf.org/kidswalk. JDRF’s mission is to find a cure for diabetes and its complications through the support of research. The organization was founded in 1970 by parents of children with diabetes and is the world’s largest charitable funder and advocate of type 1 diabetes research, responsible for more that $1 billion in direct funding. JDRF funds research with the greatest impact throughout the world, leading to results as soon as possible. More than 82 percent of JDRF’s expenditures directly support research and research-related education. Because of its unwavering focus on its mission to find a cure, JDRF annually receives top rankings from independent sources that rate charitable giving. Those interested in participating in JDRF’s Kids Walk program should contact Kelley Robbins at the Middle Tennessee Chapter of the Juvenile Diabetes Research Foundation at 615-383-6781.